COMMENTARY – Three contests in three days in the Arizona desert, and Utah was two for three. 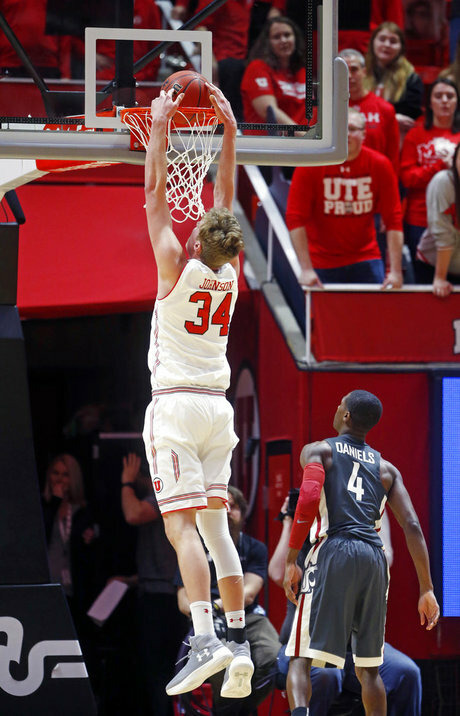 A clean sweep would have been ideal, and the Runnin’ Utes almost pulled off the upset against the Arizona Wildcats, but it was still a decent weekend overall. Let’s start with the hardwood court. Utah beat Arizona State in overtime and had a near miss against Arizona. In the process, we learned a few things about this team. The Runnin’ Utes can run with the big dogs. The win over the then No. 21 Sun Devils was Utah’s first road win over a ranked team since 1999. The Runnin’ Utes don’t want to wait another 18 years for that to happen again, and almost replicated the feat two days later against the Wildcats. Granted, a win is always better than a loss. But a one-point loss on the road to the 11th-ranked team (which shot a blistering 64.4 percent from the field) is nothing to hang your head about. It is somewhat stunning that Utah, which only shot 44.4 percent for the game, was only a single point shy at the buzzer. The Runnin’ Utes are resilient. Keep in mind that Utah let games against the Arizona schools slip through their fingers a few weeks ago at home. Wins are always much harder to come by on the road, especially in the Pac-12. It would have been easy for the Runnin’ Utes to give up when then were down in both games. But that’s not what happened. With less than two seconds to play in regulation, Sedrick Barefield took the ball across mid-court and drained a three to force overtime against the Sun Devils. Nursing a two-point lead, Utah committed three straight turnovers. Nevertheless, the Runnin’ Utes continued to play hard and came up with a huge defensive effort, shutting out Arizona State over the last half of overtime. Against Arizona, the Wildcats exploded out of the gate, making their first six shots over the first six minutes of the game. At the break, the Wildcats had made 69.6 percent of their shots (Larry Krystkowiak insisted it was 70% when talking to a reporter at halftime), compared to Utah’s 38.5 percent. Arizona had a 10-point lead at halftime and led by as many as 13 points at different times in both the first and second half. Again, the Runnin’ Utes kept playing hard and chipped away at the score. Utah didn’t take its first lead in the game until 5:28 left to play. With 4.3 seconds to play and with the ball, the Runnin’ Utes were one play away from winning the game, but couldn’t quite get over the hump. The sleeping giant within Jayce Johnson may have finally awoken. Johnson was dominant in high school and graduated early with hopes of sharing time on the court with Jakob Poeltl. Expectations were high for him on The Hill, but he hasn’t quite lived up to them. The tide shifted last Thursday in Tempe. Sure, collegiate players are generally taller and more athletic than high schoolers, but Johnson finally realized that he is still seven-feet tall. Against the Sun Devils, Johnson looked like the player he was coming out of high school. Utah closes out its road trip against Colorado in Boulder this Friday, with a 7 p.m. tip. The Red Rocks were also in the Grand Canyon State last weekend. It wasn’t just tumbleweeds tumbling across the Arizona landscape. Utah tumbled to a season-high 197.550 points in the win in Tucson. Cheering the Red Rocks on was the men’s basketball team, waiting for its turn the next night. 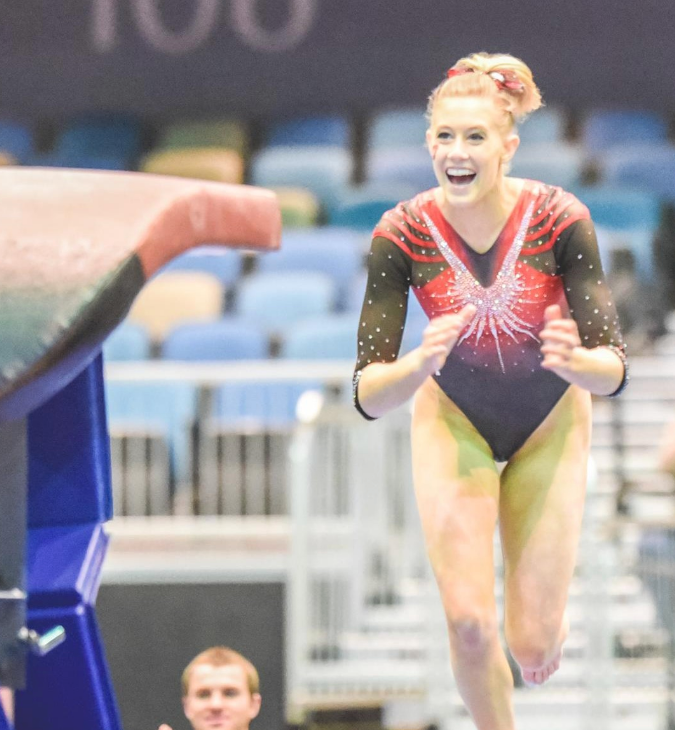 The road rotation had Utah closing out the meet on beam, its sole Achilles heel thus far in the season. “What a way to end a meet — on the balance beam, on the road against a good Arizona team,” explained co-head coach Tom Farden. What a way indeed. In their best beam performance of the season, the Red Rocks posted a 49.200 to seal the deal. The biggest takeaway from the meet? This squad is deep! With all due respect to the amazing MyKayla Skinner, Utah is far from being a one-trick pony. The belle of the ball on Friday night was MaKenna Merrell-Giles, winning the all-around with a career-high 39.625 and tying for first on vault and floor. Her secret? “I just wanted to have more fun this year and stop putting so much pressure on myself and just do the sport I love,” she said, with an infectious smile after the meet. The Red Rocks captured three of the top four spots in the all-around with Skinner and Missy Reinstadtler posting huge numbers themselves. Kari Lee put on a show for her hometown fans winning the beam with a 9.925 and tying for first on bars with a 9.90. Freshman Alexia Birch found her rhythm and contributed a big 9.90 on beam. Make no mistake, Skinner still had an amazing meet, with a 9.975 on bars, 9.950 on vault, a 9.925 on beam, and a 9.875 on floor. But strong performances from other gymnasts on the squad are a must in order to make a run at a national title. While it takes a village to raise a child, it takes a well-rounded squad to win it all. “It was just outstanding,” commented Farden, in the understatement of the night. “Overall, the meet was a great dress rehearsal for Pac-12s.” Arizona will host the Pac-12 Championships on Mar. 24. Utah’s 197.550 is the fourth-highest score in the country this season, and the Red Rocks retained their No. 3 ranking with an average score of 197.244. Utah also ranks No. 1, No. 2 and No. 3 in floor, vault and bars, and has even cracked the top-10 in beam checking in at No. 9. The Red Rocks return home this weekend against Washington in the Huntsman Center on Saturday for a 1:30 p.m. matinee. Here’s hoping the Runnin’ Utes can keep the momentum going with another road win in Boulder, and the Red Rocks keep proving they can do even better.